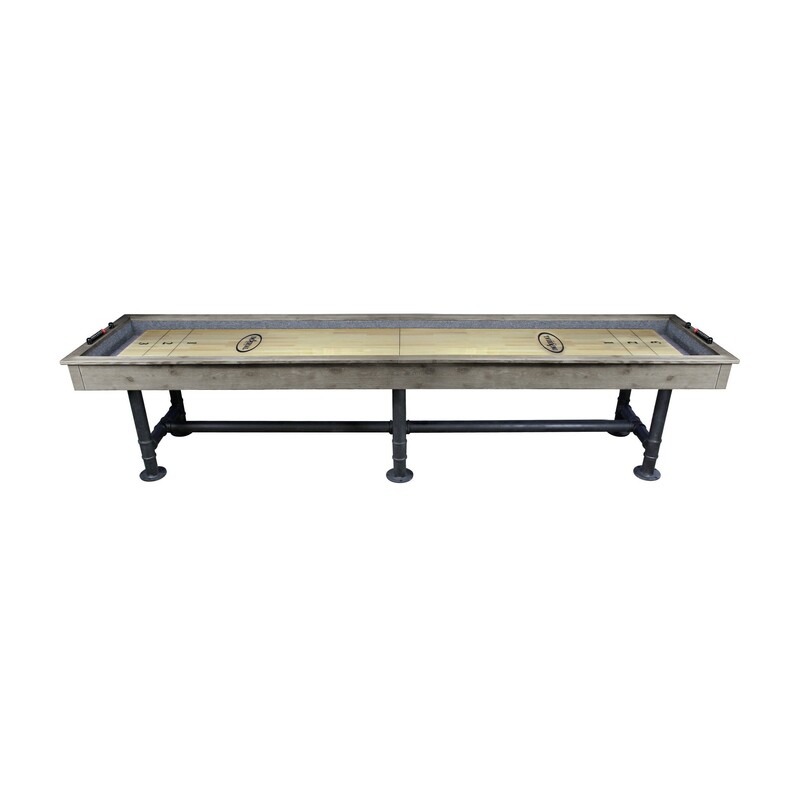 9″ & 12′ Bedford Shuffleboard (Silver Mist) | Fun! Combine with The Bedford 8-ft. or 7-ft. 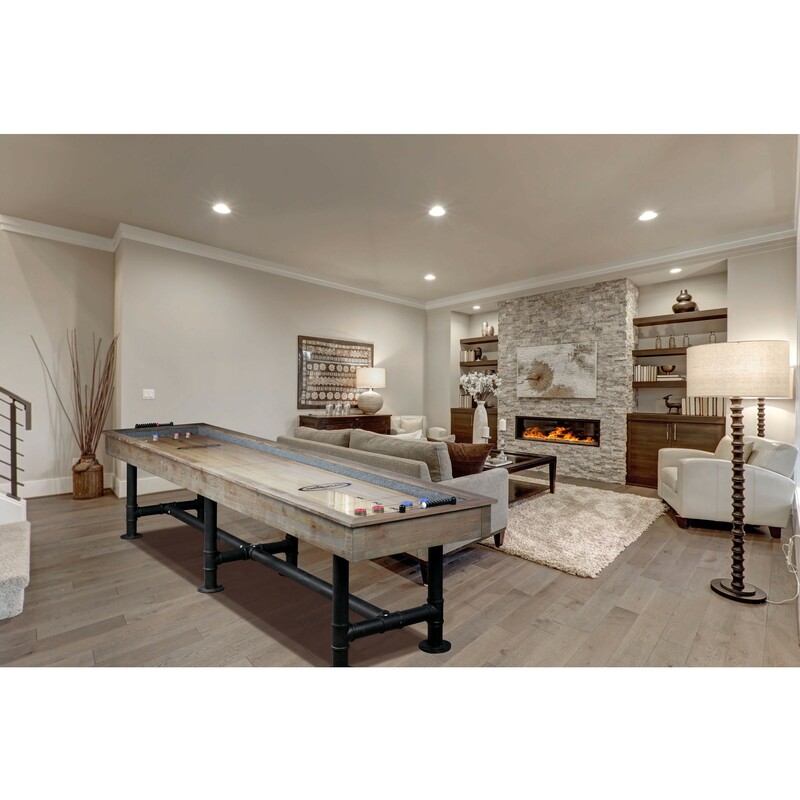 Pool Table in Silver Mist finish to complete your game room. 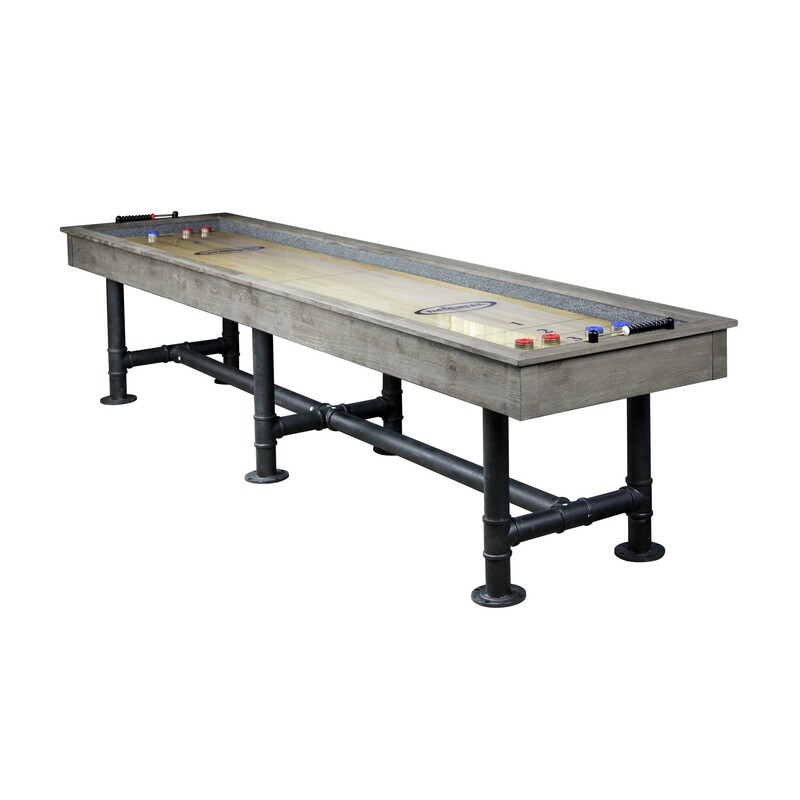 The Bedford Shuffleboard Table is will provide years of fun and enjoyment for the entire family. The cabinet is made of 1-2/5 inch thick solid Douglas fir with a Silver Mist finish. 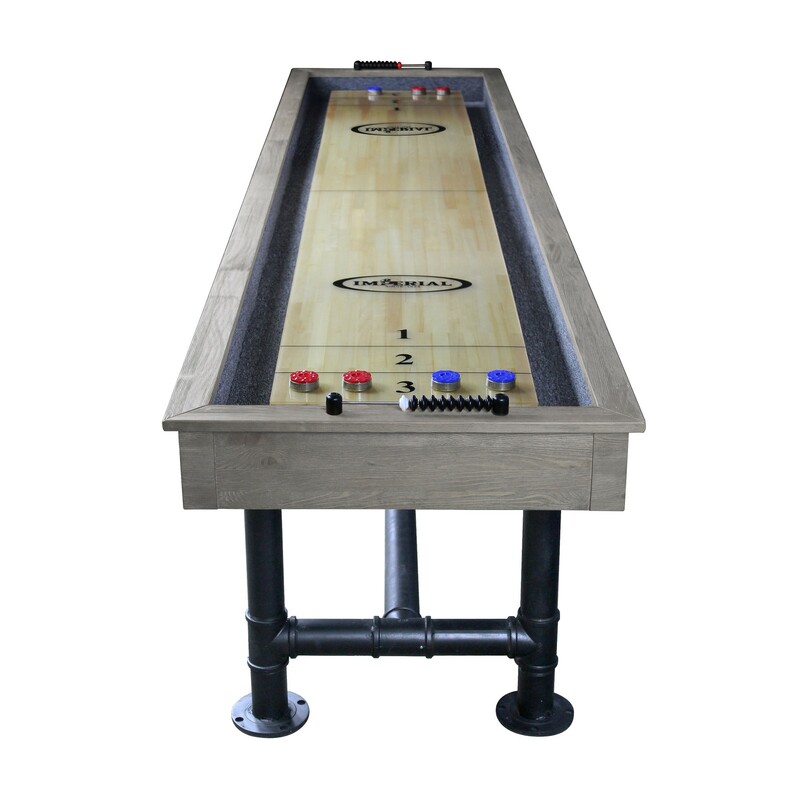 The playfield is made of solid Aspen wood with a 1/8-inch polymer seal and is 3″ Thick. 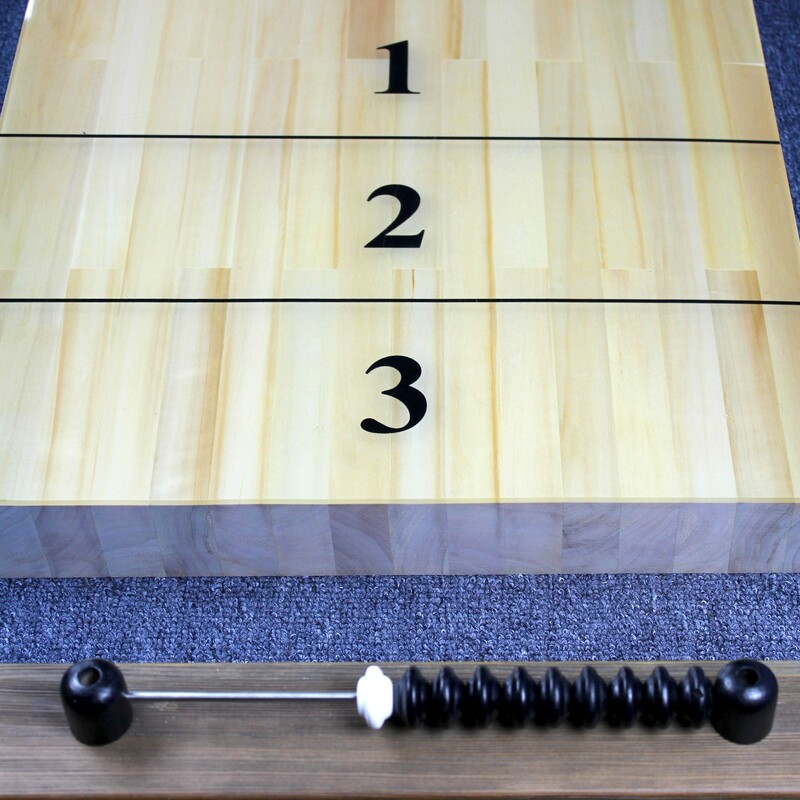 The table has 4 big climatic adjusters for maximum play. Three sets of steel legs with a steel crossbar provide exceptional stability. 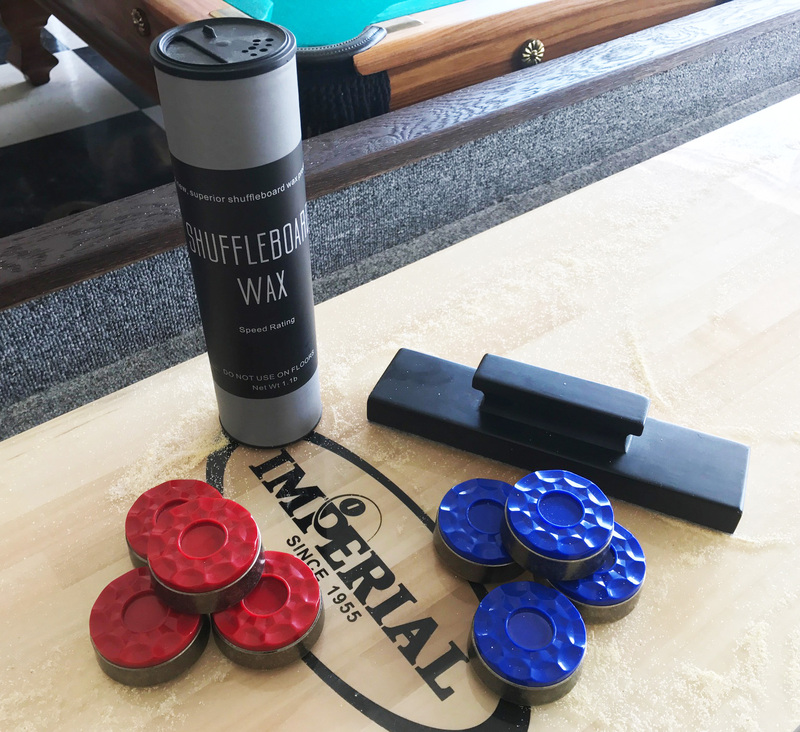 Includes eight pucks (two colors), 1 table brush, 1 can of speed wax, and 2 sets of scoring units.